Outdoor cats have more potential risks of injuries and accidents, naturally. However, indoor cats incur serious and expensive cat health care problems as well. 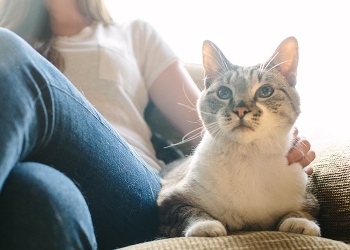 Here are five reasons your indoor cat needs pet insurance just as much as your outdoor cat. 1. Cats are good at hiding symptoms. Cats are more sedentary by nature, which mean that cat owners are not as likely to notice symptoms their kitties might be displaying. Indoor cats, like outdoor cats, still have accidental injuries and other health problems. 2. Indoor cats are still at risk. They can have accidental injuries indoors as well. And being indoors doesn’t protect them from common cat health problems, including cystitis, digestive upsets, cancer, diabetes, thyroid disease, leukemia, kidney failure, heart disease, and more. 3. The cost of treating cats is just as expensive as other animals: Cats tend to have fewer veterinary visits overall, but when they do have an illness or injury, the veterinarian costs can still be in the hundreds to thousands. 4. Pet insurance coverage is cost effective for cats and filing a claim won’t increase your premium. Learn more about cat insurance plan options at www.petsbest.com/cat-insurance. 5. Pet owners who have insurance for indoor cats will be able to afford nearly five times the veterinary care than those who don’t. Veterinary medical advances have given far more treatment options than ever before, but these often come with a high price tag. Pet insurance helps by reimbursing on you cat’s veterinary bills. Overall, cat insurance allows pet owners to budget for their cats’ health care and provides peace of mind in the case of pet health emergencies and unexpected illnesses. By: Dr. Jack Stephens, president and founder of Pets Best Insurance. Dr. Stephens is the veterinarian who launched pet insurance in the U.S. over 30 years ago.